What more could you want in a classic camera: A compact design featuring a great Carl Zeiss lens. And that's true for nearly all of the Rollei 35 offerings. Once you get used to these oddities, then you only have to worry about taking the photos. I find that it's best if you approach the camera without any preconceived notions of how a camera should work. That is, don't expect it to be an SLR or a Leica, because it's neither. Just study the camera and figure out how it works. The design of the small plate inside the camera keeps the film flat against the film rails, which I think contributes to a sharp negative. 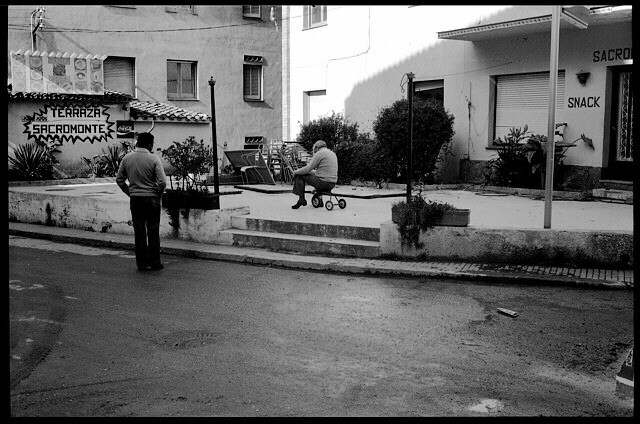 Of course, the main driver in all of this is the lens, and Rollei hasn't let you down. These two cameras use the Sonnar and Tessar lenses, and each is superb. You get a one-stop advantage with the Sonnar. In practice, either is a fine choice. You'll also find some models with a Schneider-Kreuznach Xenar (Tessar-type), which also is a fine lens. There also were lesser models fitted with a Carl Zeiss Triotar. However, the construction of those models is unimpressive overall because of the prolific use of plastic in the body as well as in the gearing, and I would avoid them. I'll keep my comments here confined to the 35, 35 T and 35 S. By the way "T" is for Tessar and "S" for Sonnar. 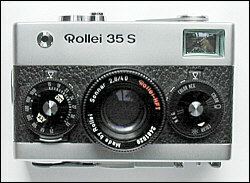 Despite its small, boxy shape, the Rollei is very easy to hold. Keep that strap around your wrist, and you'll be ready to take a photo at a moment's notice. When metering a scene, aim the camera slightly toward the ground, rather than toward the sky. The camera was the creation of Heinz Waaske, an innovative designer for Wirgin, who was unable to convince Leitz or Kodak of the possibilities of his little camera. That turned out to be their loss. 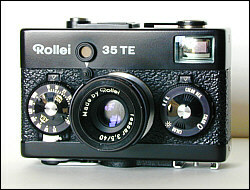 The Rollei 35 was hugely successful, selling millions in several production runs that spanned more than two decades, outliving many other cameras. It excels in its simplicity and optical excellence.